Integration in the Area of Defence - EU's Military Schengen? Brussels greets us with high temperatures, and it is expected to get even hotter for the EU summit on June 22 and 23. Fully in tune with the weather, the items on the agenda of the two-day European Council are also quite hot. The Union, for the first time in two years, is free from the most threatening issues, such as the growth of Eurosceptic parties and the pressure of political turmoil in exiting Britain. Following the victory of Euro-liberal Emmanuel Macron in the presidential elections in France, and later the overwhelming success of his party En Marche! 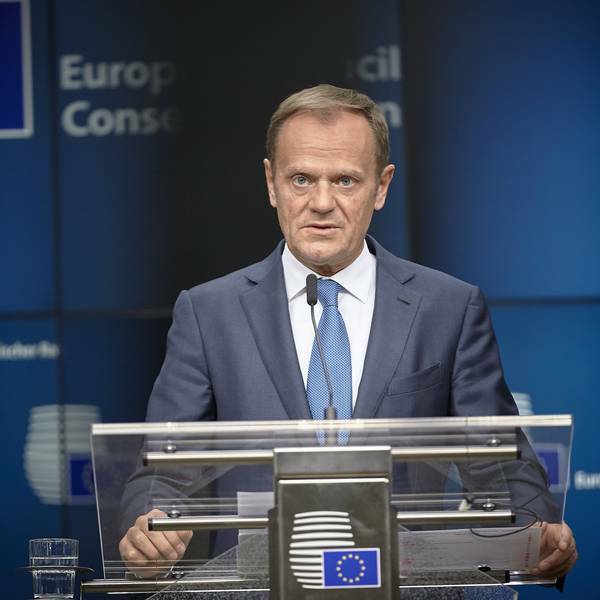 in the parliamentary elections earlier this month, European Council President Donald Tusk (EPP, Poland) announced the end of the populist threat and the return of the EU as a solution to problems rather than their root cause. The British drama has also come to a halt following the snap elections in the Kingdom, with which the Conservative Party has lost its vast majority, and now has to form a coalition government. However, this is not currently a problem for Brussels, where official negotiations on the Brexit have been officially launched on 19 June. Their start promises constructivism and pragmatism. Despite the fall of this heavy burden from EU's shoulders, there are still many issues that create intra-union tensions at a time when the EU is trying to look united on every issue for fear of showing its Achilles heel, especially in the context of the negotiations on Brexit. Almost all of them are on the agenda for Thursday and Friday. However, the preparation for the summit demonstrates that the EU is preparing for its survival in a new, different world order in which the United States is already a non-reliant partner, and Britain is trying to find itself. Leaders will begin their meeting with the two most important EU topics at the moment - internal and external security, and defence. And it seemed as if in order to keep the enthusiasm burning, days before the summit there was another terrorist act in London, and in Brussels on Tuesday night an attempted attack at the central railway station was prevented. The issue of internal security is not expected to bring serious drama, but a very cautious approach is taken. In the letter of invitation to the leaders of the 28 member states, President Tusk says the EU will not replace national states in the fight against terrorism, but it can help to win this battle. He proposes to strengthen cooperation with the online industry. "Terrorist propaganda makes its biggest impact within the first few hours of being posted. 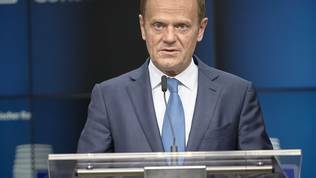 We should therefore encourage the industry to develop tools that will automatically detect and remove content that spreads terrorist material or incites to violence", Donald Tusk’s letter said. 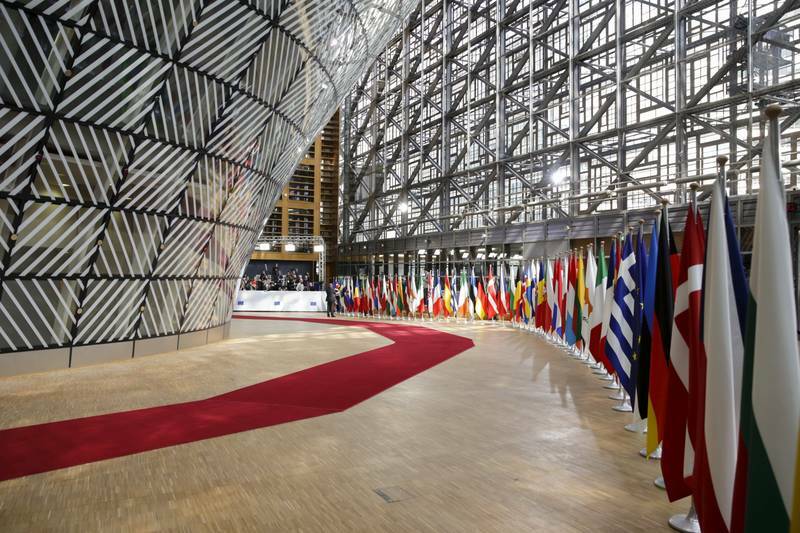 Member states are expected to agree to cooperate in improving their internal security by combating online radicalisation, seeking to respond to radical ideology, terrorist financing, exchanging of information, and improving connectivity between databases of member states. Leaders will also appeal to the online industry to take on their responsibility by developing new technologies and tools for automatically detecting and removing content that incites violence is what can be inferred from the draft conclusions of the meeting, which euinside has its hands on. A commitment is also being made to seek ways to solve the problem of communication systems that allow terrorists to communicate in a way that prevents the authorities from accessing that communication. 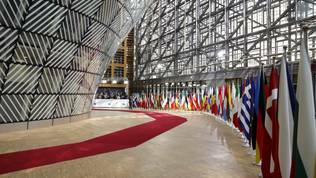 The subject is very up to date, but it is not one of the hottest for the European Council, as there is no expectation of serious differences on the suggested text. The issue, which is yet to be stealing the sleep of member states, is the deepening of defence integration. For the first time, the leaders of member states will have to make a political decision on the establishment of a Permanent Structured Cooperation (PESCO). Work has been under way on it for some time now and at an enviable speed, but the ambiguity is still too great. PESCO is the first step towards the creation of military cooperation, which is not present even in NATO - pooling resources, launching common public procurement tenders for the purchase of military equipment for common use, coordinating missions, co-financing. The plan of the European Council president is for leaders to unite in their desire to create an "inclusive and ambitious PESCO". However, this at this early stage sounds like two mutually exclusive conditions, as some member states, especially France, insist that PESCO be set up on criteria that are too high for implementation by all member states. The division is again along the new/old members line. By definition, it is advisable to involve countries with well-developed military capabilities in this cooperation. This means that countries to have not only a good ratio of defence spending to gross domestic product, where countries like Bulgaria, for example, are well in the middle but nominal expenses are virtually negligible and much of it goes for wages and upkeep. To be able to participate effectively in PESCO, it is necessary for the member states to have not only a certain type of equipment - air planes, submarines, etc., but also the quality of this equipment is important. That is why the new member states insist that PESCO is launched as an enhanced cooperation procedure - a tool that requires at least 9 member states to declare willingness to do something together. This procedure does not provide for entrance criteria and is open at any time to any country that wishes to join, as is the case with the European Prosecutor's Office or the financial transaction tax. However, there are concerns that a military Schengen may be created, which implies fulfilment of certain accession criteria. Another ambiguity about PESCO is that it will initially work on a project basis, that is, it will work on specific projects, such as participation in missions, equipment acquisition, joint military development, etc. It is unclear how these projects will be coordinated either within PESCO or at EU level, and even less with NATO, which in principle supports the idea in its current quite obscure appearance. Moreover, member states will be free to participate on a voluntary basis in any project, making things even more complicated and unclear. In fact, the thinking behind this idea is for the EU to be able to take care of its own defence at a time when the United States under the presidency of Donald Trump cannot be seen as a reliable partner, as demonstrated by Mr Trump's participation in the NATO summit in Brussels in May. In fact, Donald Trump is just the straw that broke the camel’s back. For years, Washington has warned Brussels that it is high time to take on a commensurate role in its own defence and stop relying on US military power. Former President Barack Obama too repeatedly sent similar messages to Europe. At this stage, it is clear that all or almost all member states want to be involved, but it will very much depend on the criteria. As a high-ranking EU diplomat explained, on the first day the leaders will cross Rubicon, but they will not reach Rome. The draft conclusions seem to have found a compromise, as the main goal is for leaders to show unity even on topics that divide them. The compromise is that member states should draw up a list of criteria and legally binding commitments in the next three months with specific deadlines and evaluation mechanisms to enable them to carry out even the most demanding missions. Specific projects and cooperation initiatives, also supported by common objectives, commitments and criteria, should be proposed too. With this text in the draft conclusions, it seems leaders are postponing tough political decisions by several months, but in the meantime they show goodwill by reaching a long-awaited agreement for the financing (on a permanent basis) of the deployment of EU battle groups. This is a serious step forward, given that these groups have existed for 10 years and there is still no agreement on their funding. This will be done under the EU-managed “Athena” mechanism. Leaders also commit to this topic for their next meetings. It is also expected that the strong commitment of the EU to cooperation with NATO will be reaffirmed. The subject of defence does not end here. 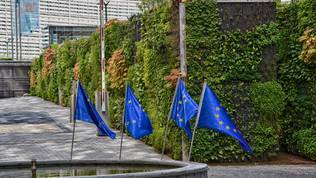 Leaders are expected to support the creation of a European Defence Fund, which will finance common R&D activities and to urge each other to identify specific projects to be financed by the Fund. 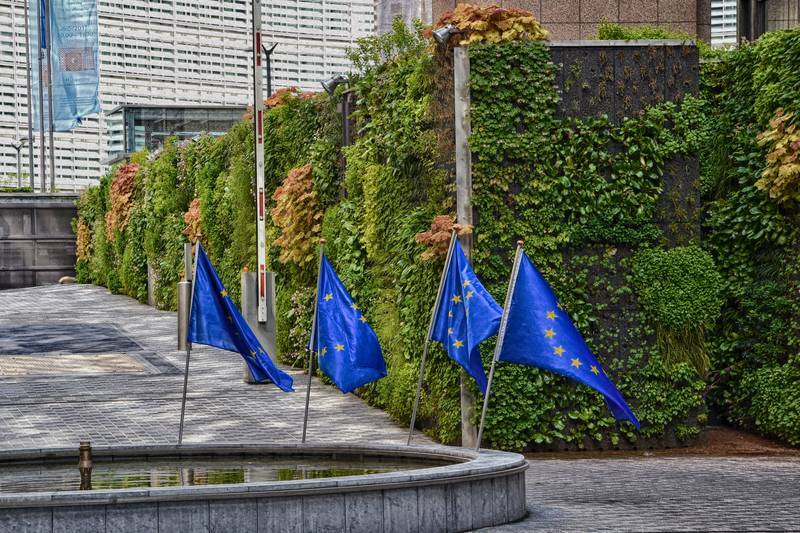 In a typical European fashion, leaders are likely to create an elephant on the second very hot topic of the meeting - the quarrel about the transfer of two EU agencies currently in the UK. This is about the European Medicines Agency and the European Banking Authority. Under an old European tradition, disputes over the location of this or that European agency may take years. In this case, however, the EU does not have that much time because under treaty the Brexit will last for two years, unless there is an extension, but Donald Tusk and his team's ambition is to find a solution to this issue as soon as possible. It cannot be ruled out that this seemingly insignificant problem could force the leaders to argue into the early hours of the next day. The conflict point is the procedure the Commission has proposed. According to it, by the end of the month, each member state must make a proposal for one of the two agencies or for both, with the member state meeting 6 criteria. It should have a proper logistics that includes buildings, telecommunication network, infrastructure. This also includes accessibility from all member states, which provoked a protest from Cyprus, which is situated furthest from the main continent. It is also important for countries that have the ambition to take either or both of these agencies to have sufficient quantity and quality of hotels for conferences and all of the accompanying functions such as restaurants, etc. Another problem for countries like Bulgaria, for example, is the requirement to provide multilingual training infrastructure for the families of those working in the agencies. These are schools in several languages. Candidate hosts should also be able to provide access to the labour market for the spouses of agency workers, social security, medical care. The aim at the summit is also about demonstrating unity. It is not so important what will be agreed on about those agencies, but to preserve the unity of the 27, and to demonstrate that a solution to controversial issues related to Brexit can be found. The draft conclusions for the meeting, at this stage, say nothing about the dispute over the relocation of those agencies. The subject is scheduled for the 27’s special summit after dinner on Thursday. Migration remains a constant conflict point. There are good and bad news on this topic. The good news is that differences between member states are decreasing, but the situation on the central Mediterranean route is deteriorating. The number of migrants from North Africa is increasing as well as deaths. The number of illegal arrivals in Italy has increased by 26% compared to last year and around 1 900 people have lost their lives at sea. It is reported that the smuggling business already has a new dimension. The EU treats most of those incoming along this route as economic migrants. The problem, however, is that progress on the return of illegal immigrants is not sufficient. Alas, the messages that are expected to come out of the 28 do not give hope that this topic will be off the agenda any time soon. It is clear from the draft conclusions that many of the commitments made so far have not been fulfilled, and there is a call for this to finally happen.